Volkswagen will be developing a five-door coupe form factor version of it’s Volkswagen Passat to take on the Mercedes Benz CLS coupe. The coupe will be positioned between the Volkswagen Passat and the Volkswagen Phaeton and is expected to make a debut at the 2007 Frankfurt Motor Show. The car will come with front-wheel drive or all-wheel drive options and have a choice of four and six cylinder engines. I’m not sure if the market’s perception of Volkswagen will change by 2007. 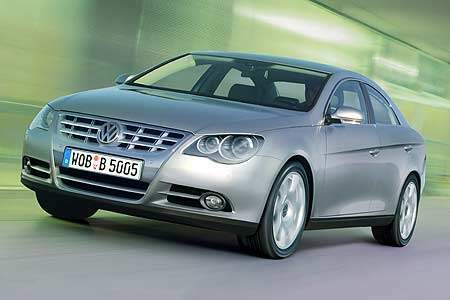 Despite the Phaeton being a great car, many buyers shy away because of the badge stuck on the car. Volkswagen just isn’t equals to luxury to the car buyers yet. 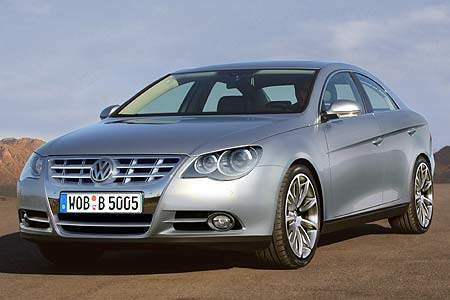 This Passat coupe might suffer the same fate as the Phaeton if not positioned correctly.